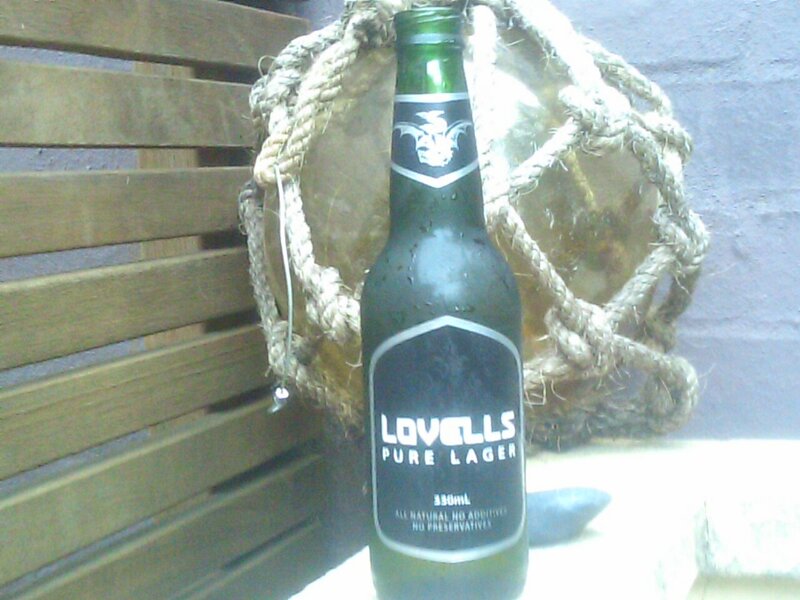 Back in November, BotF tried a schooner of Lovell’s Lager at the Annandale Hotel. BotF was underwhelmed at the time, but was prepared to give this drop another chance. Lovell’s Lager was started by a music producer called Matt Lovell, who decided that most beer he drank was crap. He decided to remedy this by brewing his own – and distributing via the pub and indie music scene of the glorious inner west. There was an initial flurry of activity – a blog, newsletters, viral videos, the purchase of a Lovell’s Lager Sandman – but since then things seemed to have quietened down. The last blog entry was almost a year ago, and their newsletter was an Xmas ’08 issue. So hats off to Matt for getting off his arse in such a demostrable way. It pains me greatly, then, to say that I just can’t get into Lovell’s Lager. Maybe Matt’s taste is different to my own when it comes to a beer – but there is something just not right with this beer (to my taste). The first swallow is inoffensive, but there is an aftertaste that is reminiscent of stale beer lines that I couldn’t get over. It really was a struggle to get the last drop down. This was one time when a 330ml bottle is welcomed.